Picture it…It’s Friday night and you are having a night in with friends. You pop a couple of pizzas in the oven, crack open the beverages and start to catch up with everyone. After a while, someone notices there seems to be smoke in the air but you’re having such a great time, you chalk it up to the pizza and go back to socializing. Then all of a sudden, your living room begins to fill with smoke. You call the fire department and evacuate the premises. It is scary, quite the surprise and more of a wake-up call than you would care to admit. Because you find out that the fire was started not by pizza in the oven, but a pillow that caught on fire from a nearby candle. Many times, a tragedy can be initiated by our own carelessness. One way we can prepare for these flamed accidents is to equip your home with fire extinguishers, smoke alarms and even fire sprinklers. Think sprinklers is a bit over the top? If a fire sprinkler system was available, that sprinkler system could quickly take care of the fire, even before firefighters arrive. Not only will it minimize both fire and water damages but ensure no one was injured. With fire sprinklers going off and extinguishing the fire, this story could prevent a tragic ending. Don’t hesitate when it comes to fire protection – residential sprinkler systems can save lives. Make a call to CJ Suppression for more information about residential fire sprinkler systems. For more information about fire sprinkler systems, call CJ Suppression at 888-821-2334 or visit the website at www.cjsuppression.com. When fire sprinklers are installed properly and routinely checked to make sure that they’re working, fire sprinklers can, in worse case scenarios, give you and your family as much as 10 minutes of cool, clean air to safely escape from your home. With fire sprinkler systems, you have a means of controlling the flame. They may not be able to extinguish large fires, they are often able to contain the fire enough to keep the damage to your home at a minimum while firefighters arrive. The added cost of having fire sprinklers installed and maintained isn’t exactly cheap but does add value to your home and insurance premiums should be cheaper. But there are also plenty of other advantages that any homeowner can enjoy if they choose to have a residential fire sprinkler system is installed – the fact that you, your family, as well as your investment, is well protected. 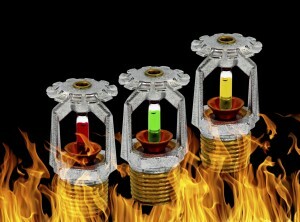 For more information about fire sprinklers, call CJ Suppression at 888-821-2334 or visit the website at www.cjsuppression.com. The Camp Fire ignited on Nov. 8 in remote Butte County and moved through the region. The wildfire claimed 85 lives and destroyed more than 14,000 homes within weeks. PG&E released information Thursday as part of its 2018 fourth quarter earnings report. The embattled utility company said it’s taking a $10.5 billion charge for claims connected to the Camp Fire in its fourth quarter earnings. In a December letter to the California Public Utilities Commission, PG&E officials said an employee “observed fire in the vicinity” of one of the company’s towers and workers called 911 the morning of Nov. 8 — the day the wildfire ignited. Inspectors later found a broken C-hook and a “flash mark” at that same tower, suggesting a power line broke free and made contact with the tower. Separately, a PG&E employee on Nov. 9 found a “pole and other equipment was on the ground with bullets and bullet holes” at a different location near Flea Mountain. On Nov. 12, an employee found downed wires and damaged and downed poles at Concow and Rim roads, the letter says. The official cause of the blaze has not been determined. Several fire victims have filed lawsuits that blame PG&E’s equipment in sparking the wildfire. Stay with KCRA for updates. 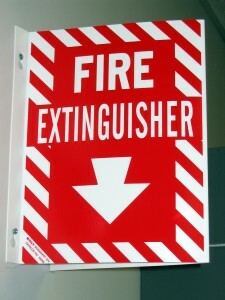 For more information about fire prevention, call CJ Suppression at 888-821-2334 or visit the website at www.cjsuppression.com. Shortly after the massive destruction and death toll of the Camp Fire in Paradise became known to the world in early November, the phones started ringing in Monterey County Supervisor Mary Adams’ office. Nerves were rattled among people living on the Monterey Peninsula and in Carmel Valley, and they wanted to know what was being done to prevent a similar disaster in their neighborhoods. For some, the 1987 Morse Fire in Pebble Beach – which consumed about 160 acres and 31 structures, doing $18 million in damage – still resonates. An investigation later blamed lots of dry fuel in the forest during a drought year, winds coming off the ocean and from the east and wood-shingled rooftops covered in pine needles. “We need to manage the forest as a healthy forest,” Panholzer says. That means thinning, and sometimes leaving dead tree trunks behind to foster a healthy ecosystem among birds and bugs. He believes Peninsula cities in wooded areas like Carmel and Pacific Grove – which contract with Monterey FD for fire services – and Monterey are doing a good job of clearing their forested areas. Carmel is looking at renting goats in the coming year to eat up dry grass and overgrown shrubs, as has been done in Pebble Beach, says City Administrator Chip Rerig. They cost between $1,500 and $2,000 an acre, for a minimum of five acres. Goats can reach steep areas humans can’t, plus they eat poison oak. Fostering relationships among local emergency agencies has “stepped up,” Panholzer says, including with Cal Fire, Monterey Regional Fire Protection District and others. Representatives from a number of agencies met Jan. 24 to brainstorm evacuation plans. Adams hosts a meeting for the public to ask questions of fire officials from 6-8pm on Jan. 31 at Palo Corona Regional Park. Ultimately, however, Panholzer says residents who live in wooded areas have to be prepared for the possibility, and have plans in place for evacuating with pets, photos and important documents. Can’t stop the blaze. As smart as smoke alarms are these days, they can’t extinguish fire. Sprinklers do and continue to do so as you and your family run for safety. 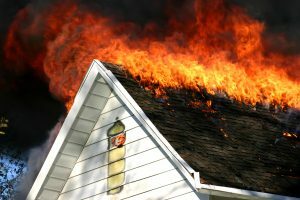 Also, by stopping the fire as soon as it starts, sprinklers can prevent, or at least reduce, the amount of property damage. Not activated by smoke. Your fire alarm going off because of burned toast and a snuffed candle certainly can be annoying. With sprinklers, you don’t have to worry about that because they are activated via heat, not smoke. Instant help. Sprinklers will activate within a minute – a whole lot less time than it takes for your local firefighters to get to your home. Also, sprinklers can help slow down the fire and minimize the damage done until the firefighters arrive to completely douse the fire. Cost-effective. Firefighters use an average of 2,935 gallons to extinguish your regular residential fire. That’s many times more than the 341 gallons of water used by sprinklers on average. Insurance-friendly. Your insurance provider may lower your premiums thanks to your sprinkler system. Be sure to contact your home insurance provider to know if this applies to you. The costs of having sprinklers installed far outweigh the costs of losing a huge part of your house. 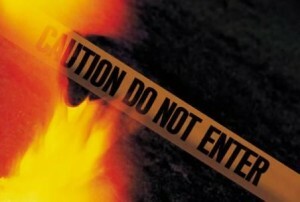 In some cases, families lose their entire homes because of residential fires. Don’t let that happen to your family by having sprinklers installed. 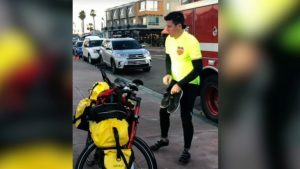 San Diego – A local Cal Fire firefighter embarked on a cross country bike ride to honor his friend – Escondido resident and Cal Fire firefighter Cory Iverson who died battling the Thomas Fire in 2017. Cal Fire firefighter and engineer Thomas Pittman left early this morning from Imperial Beach for his “Ride into The Light” fundraiser. He plans to ride all the way to Jacksonville, Florida in an effort to raise money for a foundation benefiting the mental health of first responders created in his friend’s name. Just after 630 this morning in Imperial Beach, Escondido resident and Cal Fire firefighter Thomas Pitman prepared for a cross country bike ride. The 2500-mile journey from San Diego all the way to Jacksonville, Florida will raise funds for a foundation created in honor of his friend and colleague Cory Iverson, who died in while fighting the 2017 Thomas Fire in Ventura County. “It’s pretty amazing, the stuff I’ve seen over the past year in terms of honoring him have been mind-blowing, and this one takes the cake I think,” said wife of fallen firefighter Ashley Iverson. She says the ride will help to raise money for the Iverson Foundation for Active Awareness which provides programs to help reduce suicide, PTSD and other mental and emotional stressors unique to first responders. “The things that they see and do on a daily basis these are things that you and i don’t even want to imagine,” said Iverson. Pitman’s goal is $2,426, one dollar for every mile he rides. Money Iverson’s wife says will keep her husband’s name alive and help so many others. The ride is self-supported meaning Pitman won’t have anyone helping him along the way. He is expected to complete the ride on January 31. Three wildfires in California have displaced hundreds of thousands of people and destroyed thousands of homes. So far, dozens of people have been confirmed dead and hundreds more are missing. Vast expanses of land have been scorched in Northern California by the Camp Fire — the deadliest and most destructive wildfire in the state’s history — and in Southern California by the Woolsey and Hill Fires. Remember to do your research on a charity’s reputation for using donations effectively. Charity Navigator is a good source to consult. Also, remember that sending money is almost always the most efficient way to help in a disaster, according to the Center for International Disaster Information, part of the United States Agency for International Development. If volunteers on the ground end up with a mountain of donated goods, they’ll have to spend time sorting through them rather than buying exactly what’s needed. For nonprofits that are seeking donations, click here. There are also multiple crowdfunding efforts for victims of the California fires. GoFundMe has organized a page that catalogs the relief efforts in Northern and Southern California. It includes links to donate to families who have lost their homes. Google is collecting donations to help those affected by the wildfires in Southern California. It will funnel the donations to the Center for Disaster Philanthropy, which will distribute the money to local nonprofits. Additionally, Airbnb has launched a program that asks people to open their homes to those affected by the fires. Until Nov. 29, the company is allowing residents to mark their homes as a place for evacuees and aid workers to stay for free. For more information about how to help, call CJ Suppression at 888-821-2334 or visit the website at www.cjsuppression.com.